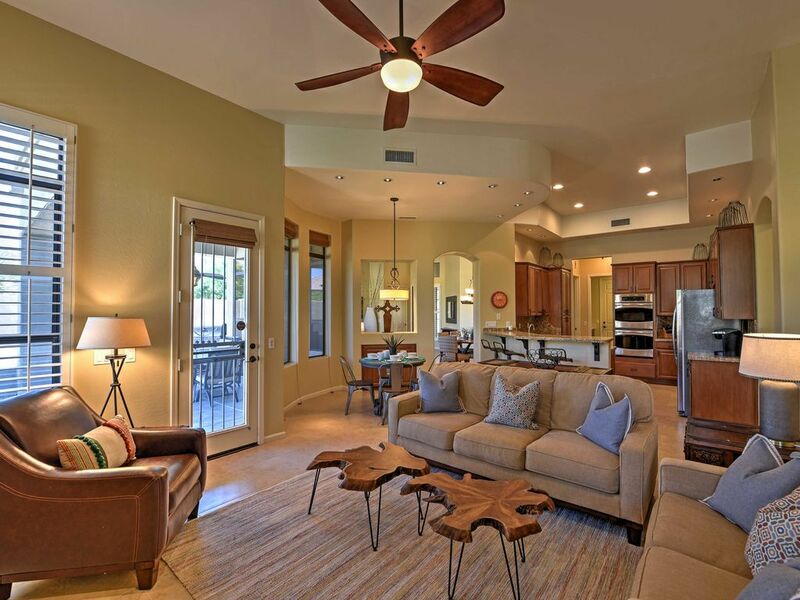 One of the newest communities this side of Arizona, Desert Ridge nonetheless already has made a mark in bringing tourists to the neighborhood. This is partly thanks to the construction of the Desert Ridge Marketplace, essentially an entertainment district right in the desert, home to a number of restaurants, shops, and even cinemas. Music aficionados, meanwhile, will get a kick out of the Musical Instrument Museum. 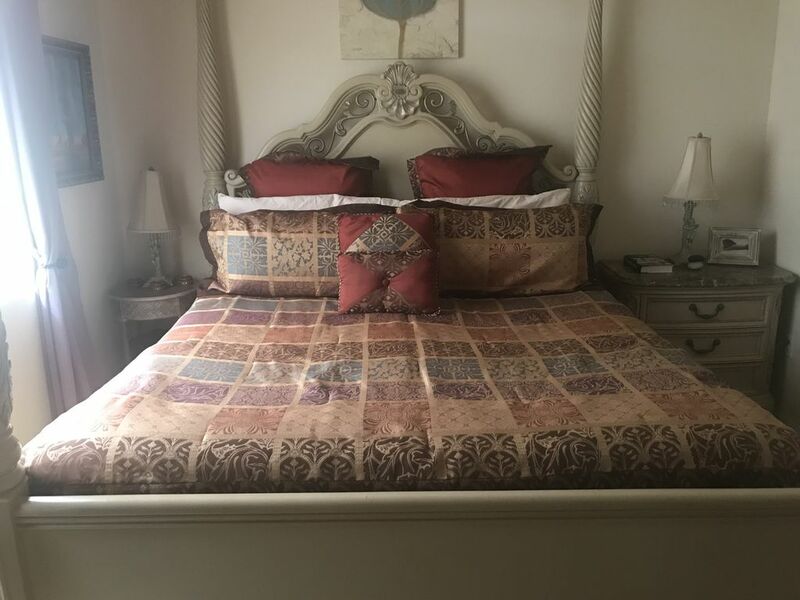 While there are certainly a number of hotels around the area that you can choose from, why not look instead at a house rental to enjoy a comfier, cozier stay? 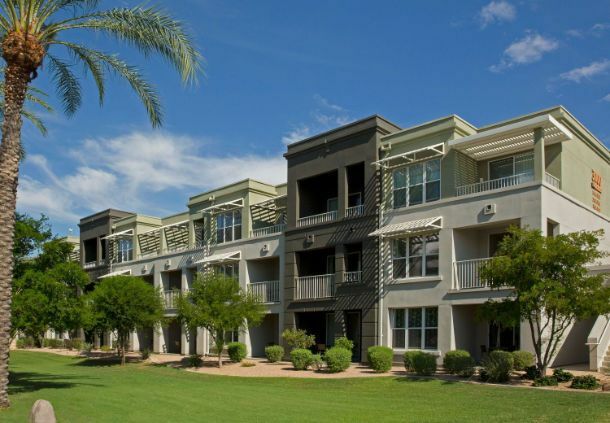 Take your pick from the best VRBO accommodations in Desert Ridge, Arizona. 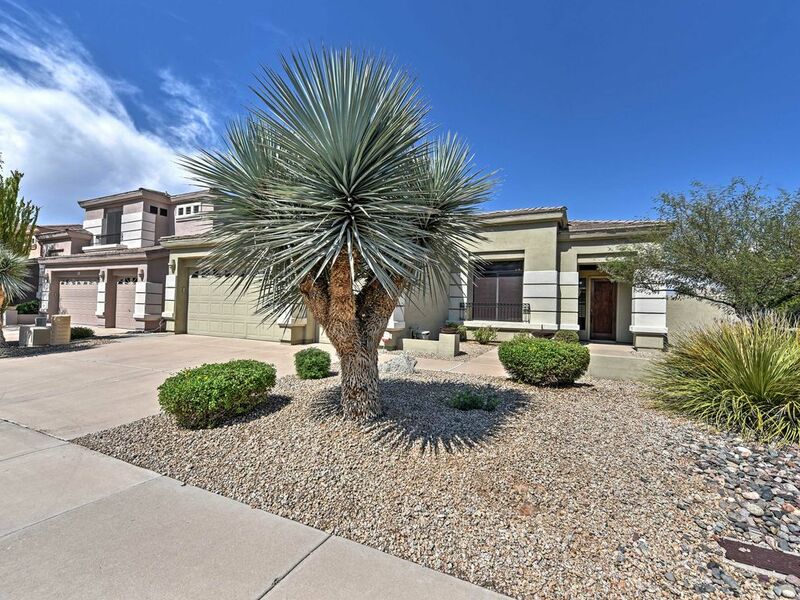 If you want to go all out on your romantic holiday in Desert Ridge, this could very well be the property for you. 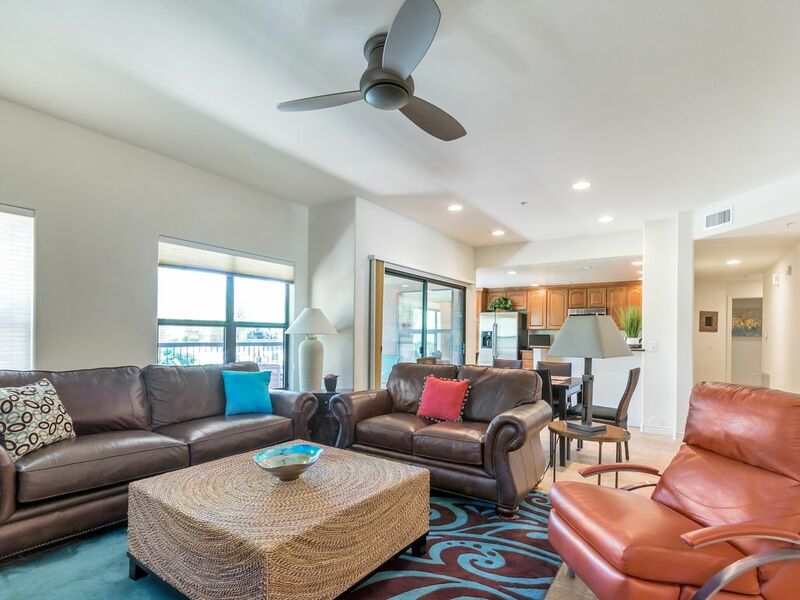 This property, a unit in Marriott’s Canyon Villas, is essentially what you get when you blend an apartment and a hotel room and add some resort amenities in the mix. 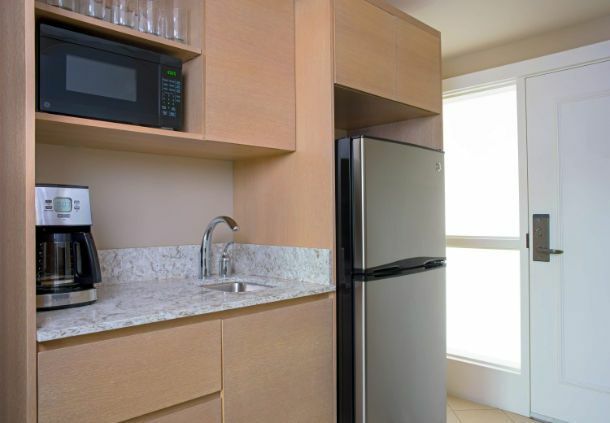 The rental, which comes with accessibility features, is equipped with a kitchenette, cable TV, and high-speed WiFi. 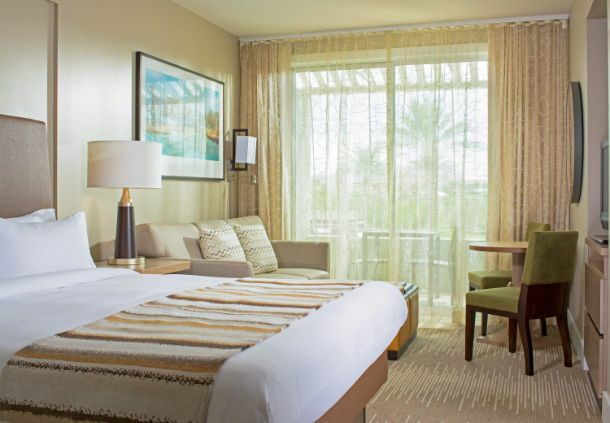 As a bonus, the luxurious amenities of Marriott Desert Ridge Resort & Spa, including its golf course and spa, are accessible to guests who stay here. This cozy apartment can accommodate up to two people, making this a great choice for couples on holiday. 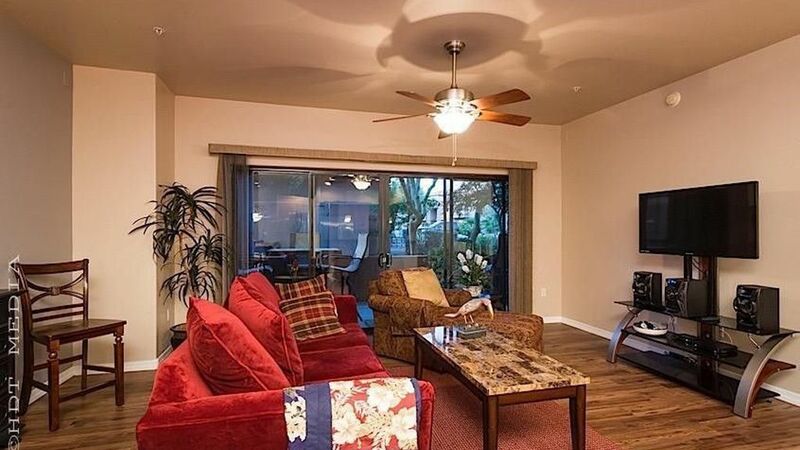 Its location cannot be beaten, being within walking distance of restaurants, shops, and the cinema. It’s also close to the Musical Instruments Museum if you want to drop by. 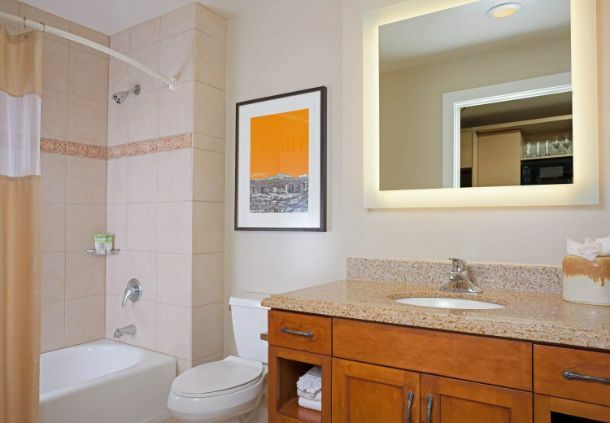 The apartment is furnished with all the amenities to make guests feel right at home. As an added perk, on-site massages can be provided at an additional fee. 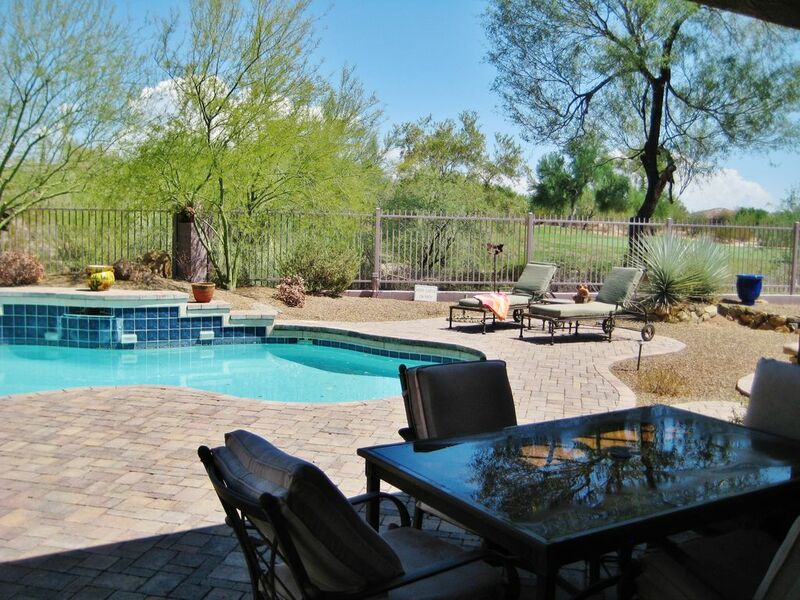 Lounge in a backyard patio during your stay at this vacation rental house. 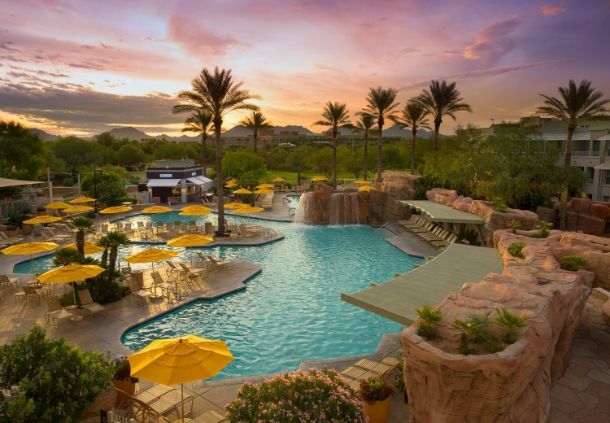 Your next Southwest retreat awaits! 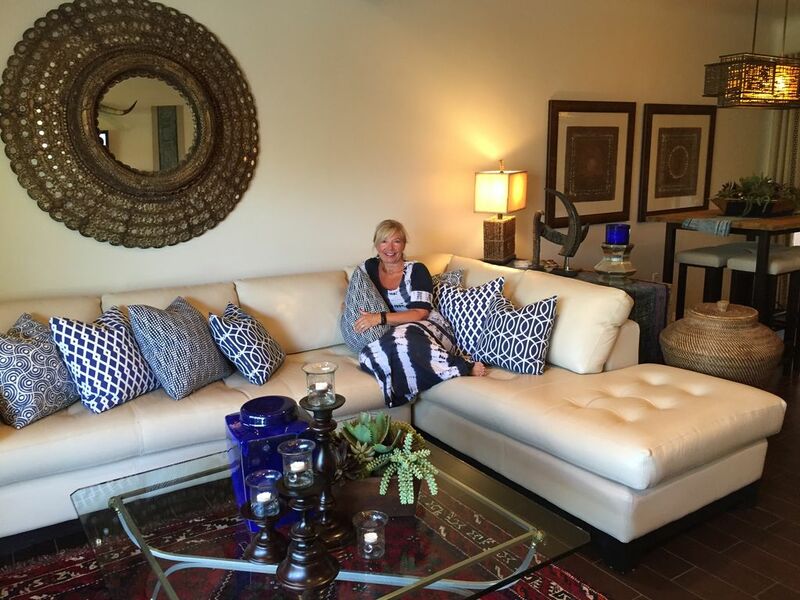 Well-appointed decor and comfortable furnishings create a home-away-from-home. 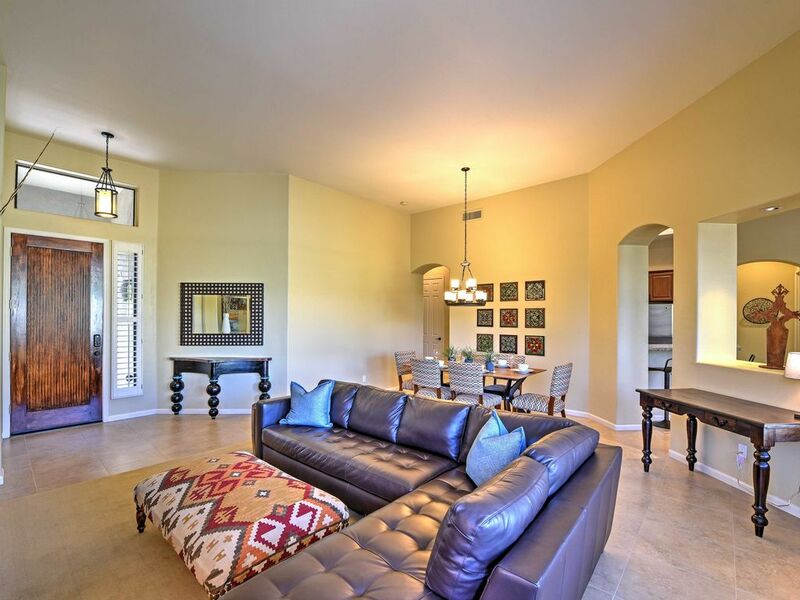 Step inside the home and enter the living and dining room area. 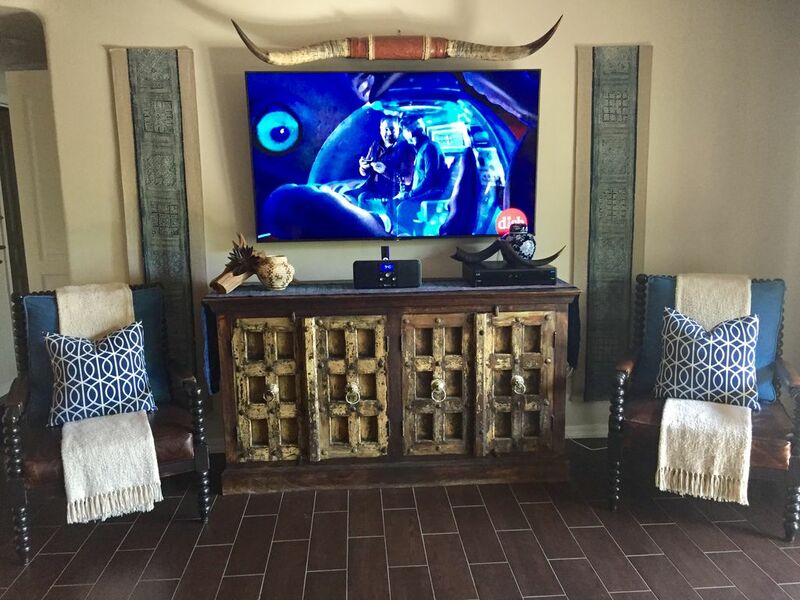 Unwind on the large leather sectional while watching your favorite shows. 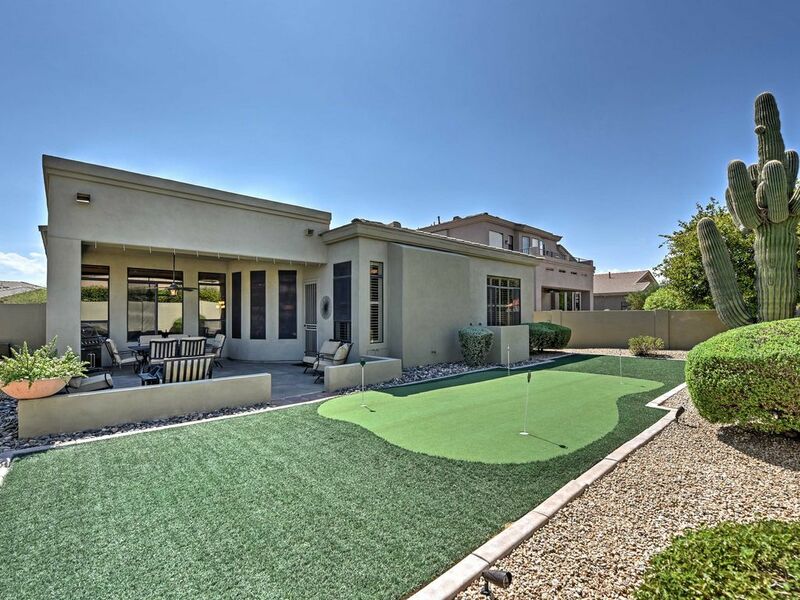 If you’re a golf enthusiast who can’t wait to reach the Wildfire Golf Club - which is already within walking distance from this home - make sure to grab this property, which has a putting green right in its yard. 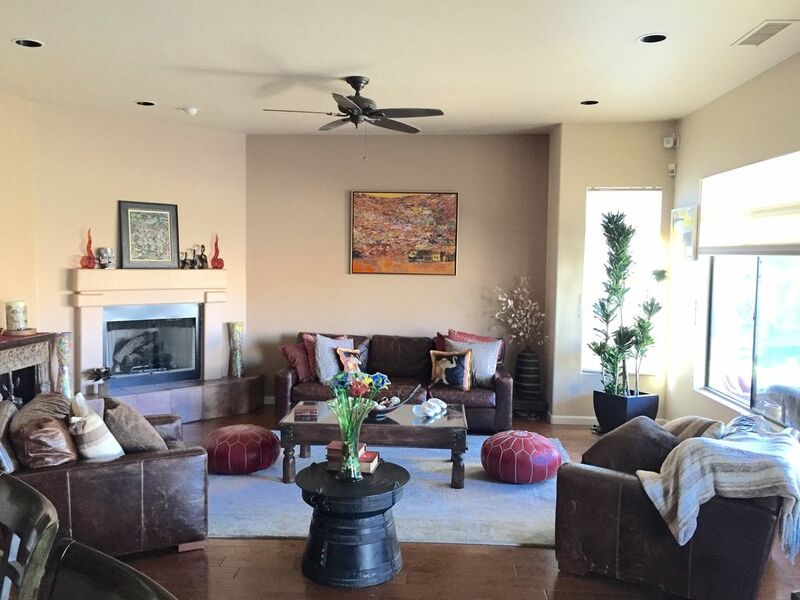 This is not the only feature that this home, which fits up to eight people, has to offer. 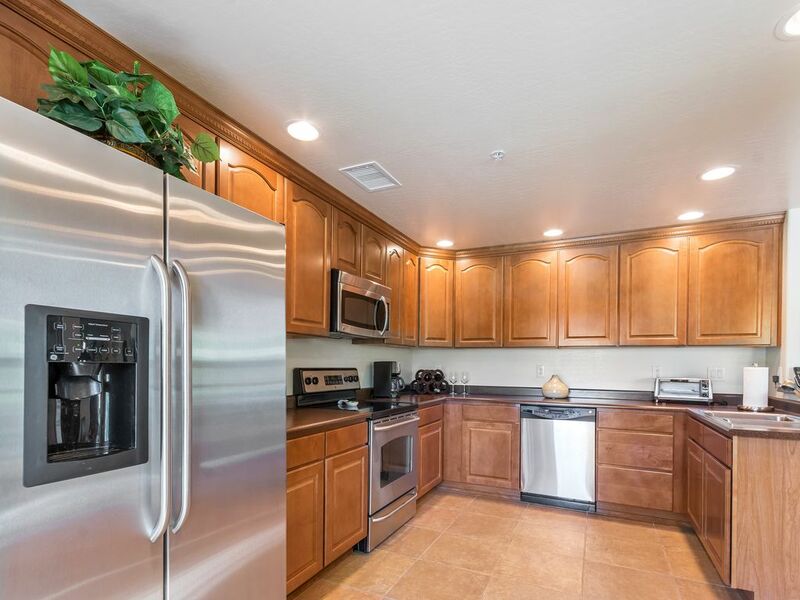 It also has a full kitchen, laundry facilities, a barbecue grill, a working fireplace, a fire pit, a flat-screen TV, and even some video games thrown in. The town’s attractions, including its shops and restaurants, are within easy access from here. Instead of making people choose between a comfy, cozy home and a room in a luxury resort, this accommodation instead blends these two to allow guests to enjoy the best of both worlds. 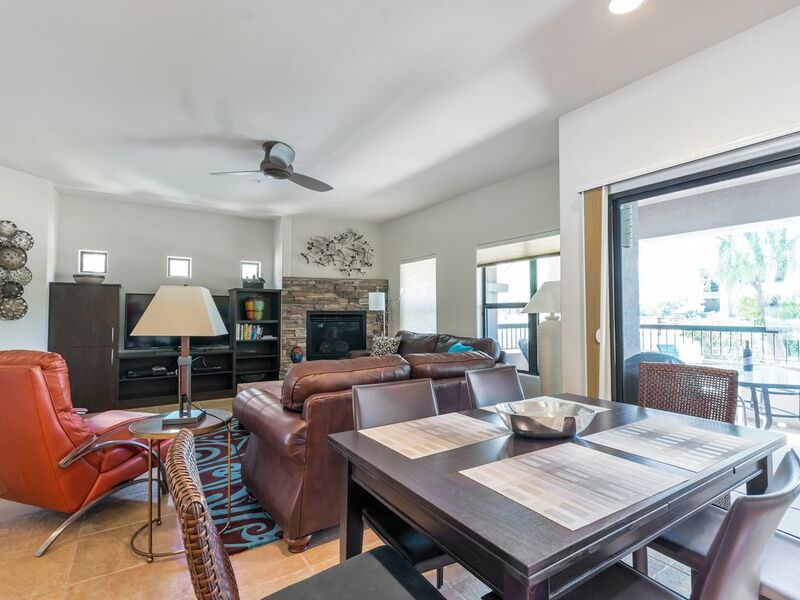 While the property is furnished with all the amenities that would make guests feel right at home, it also comes with features that recall what you can expect from a resort or spa, such as a swimming pool, a private theater, a Jacuzzi, and fitness facilities. To cap it off, commercial establishments such as shops and restaurants are within walking distance from here. Living room facing the backyard. 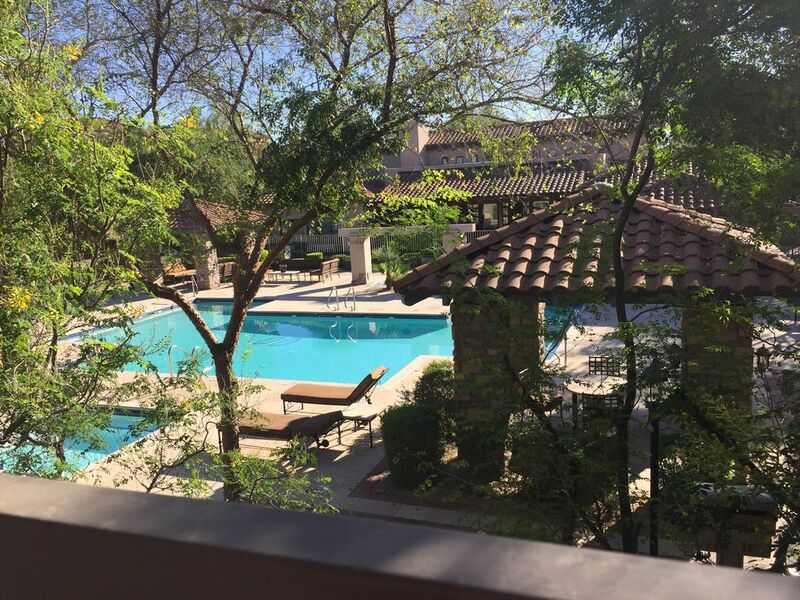 Ever wondered what it’s like to live like a local in Arizona? This rental allows you to do just that. 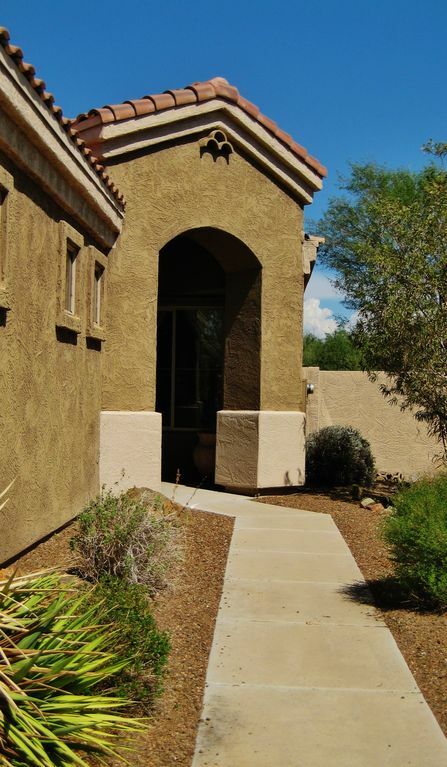 This property, which has the Sonoran Desert as its backdrop, can accommodate up to four people. 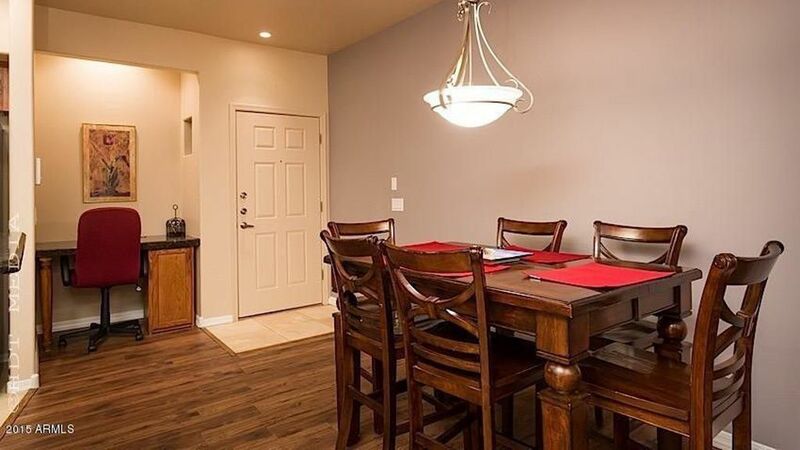 It comes with little touches that make the house feel like home, from its decors to its amenities. There’s a swimming pool on the property that guests can use to keep cool. Those who plan on staying here for one week or longer can avail of housekeeping services at an additional fee. 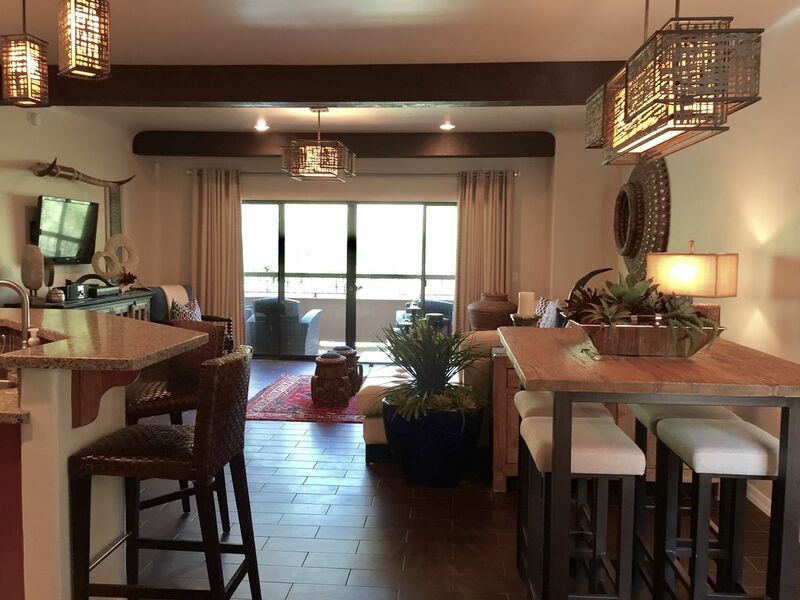 The Arizona heat may be much, but this property is decorated and comes with features to help guests stay cool during their stay. 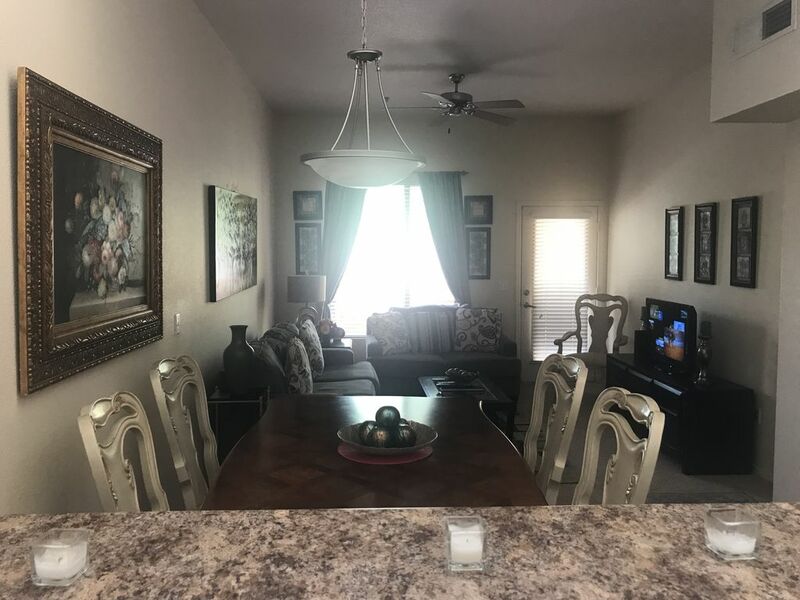 Located in a quiet and exclusive neighborhood, this casita is furnished with amenities reminiscent of home, with some bonuses such as a swimming pool, a spa, and a fire pit. As an additional perk, the host provides guests with a welcome pack that includes coffee, tea, water, and fresh fruit. Here’s another option for golf enthusiasts. 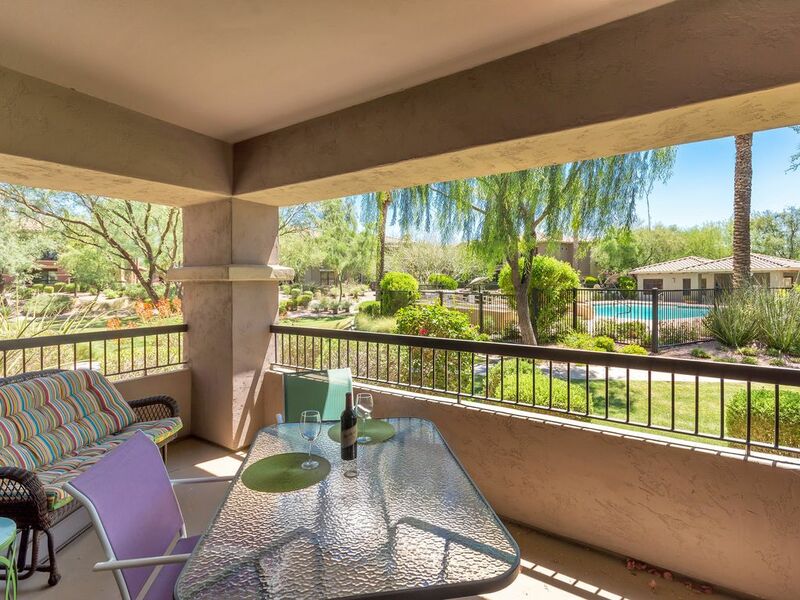 This rental is perched on the 12th green, which also incidentally provides guests with fantastic views of the sunset. The five-bedroom home, which sleeps 10 (eight adults and two children), is also close to shops and restaurants, as well as to some hiking trails. 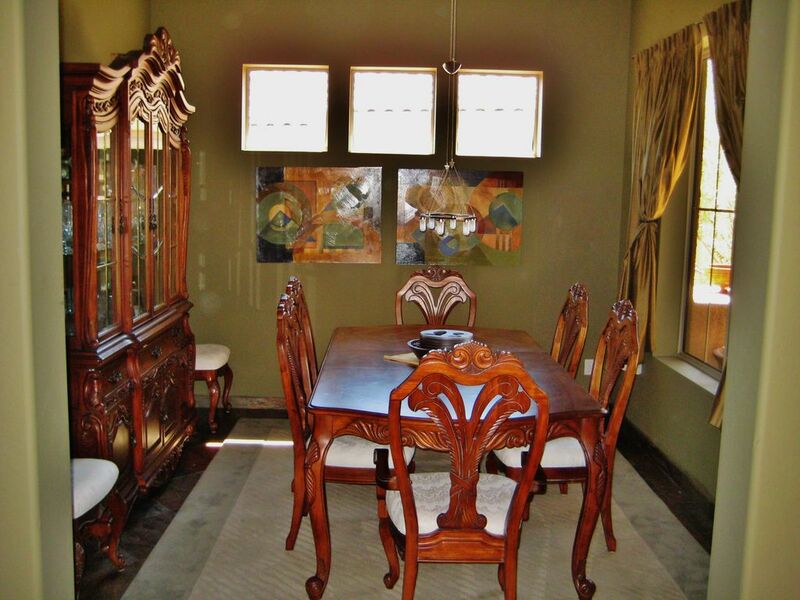 The property is furnished with the essentials with some add-ons such as a swimming pool and a fireplace. For those who prefer swimming in warm waters, the swimming pool can be heated for an additional fee. This is a wheelchair-friendly property. Golf Course Home. Amazing Location. Gorgeous Views! 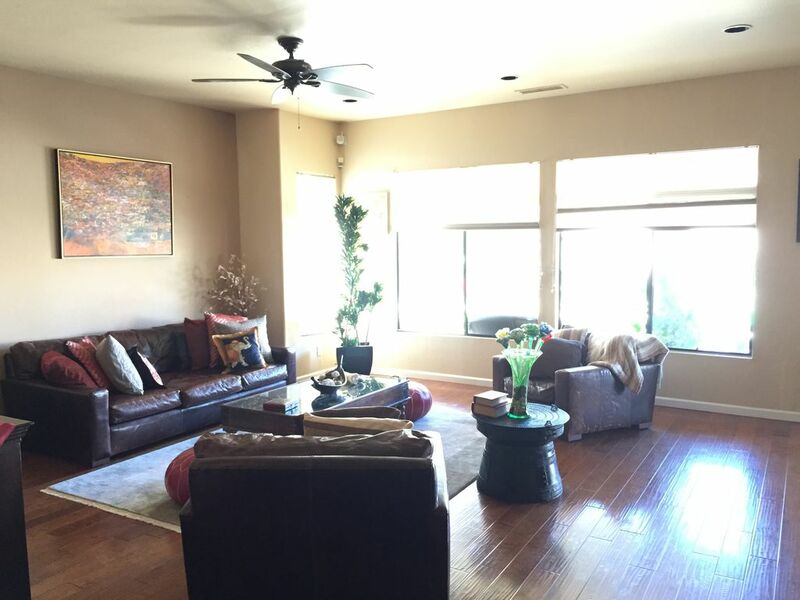 Main Living Space Phoenix Inspired! 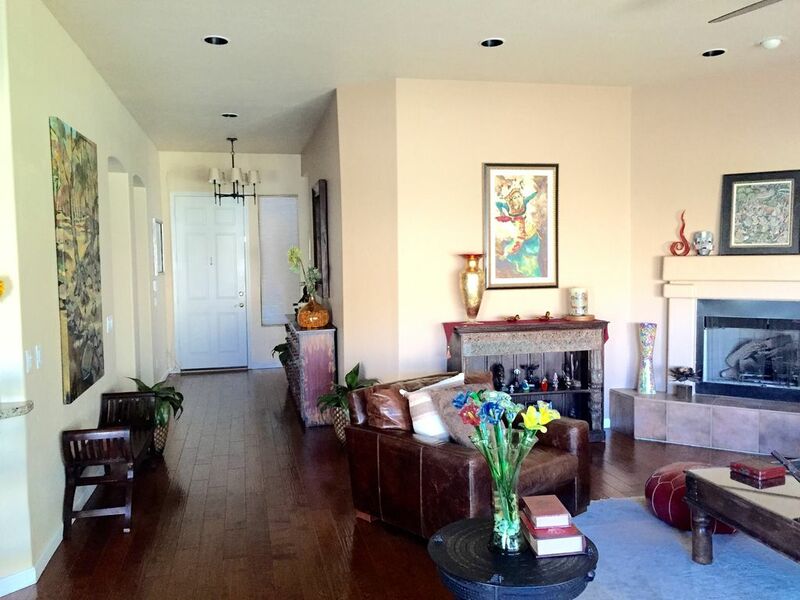 This rental is proof that it is possible to use tasteful decorations to make a home look cozy and inviting. Both bedrooms give guests overlooking views of the swimming pool. 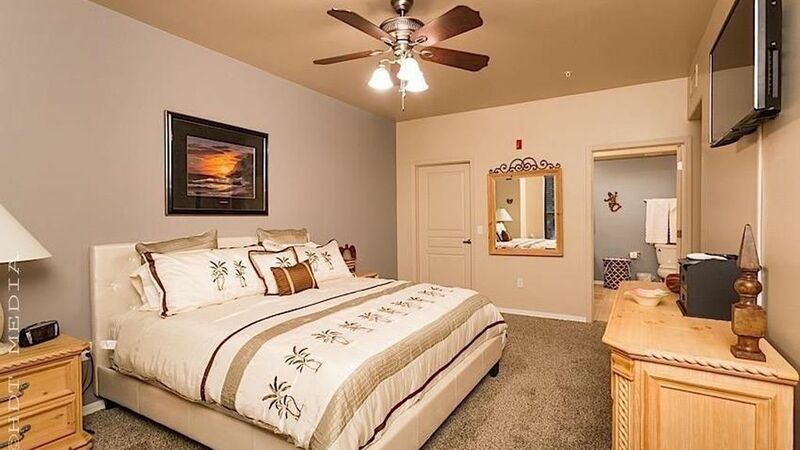 The master’s bedroom comes with a walk-in closet and an ensuite that comes complete with his and hers sinks. 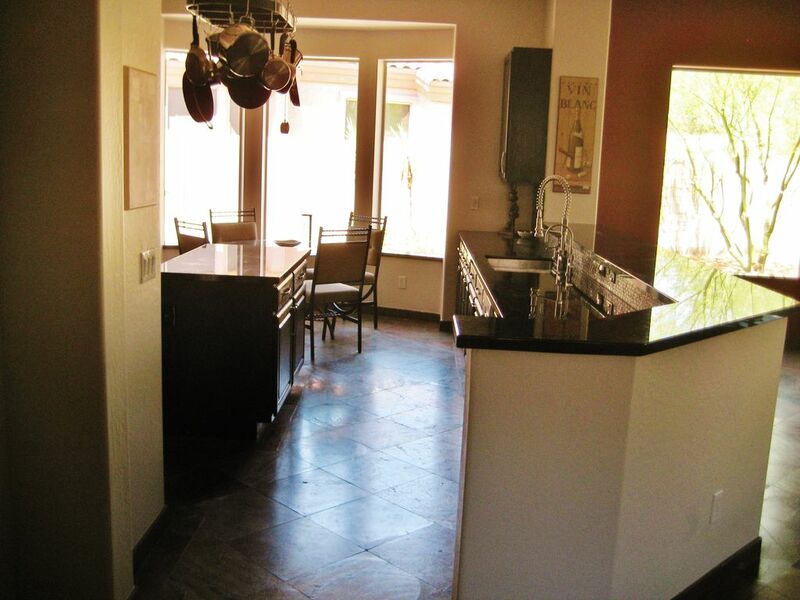 The property also comes with a full kitchen, and the living room features a big-screen TV. Two mountain bikes are provided for guests’ use during their stay. Do note that you will need to climb a flight of stairs to get to the property. 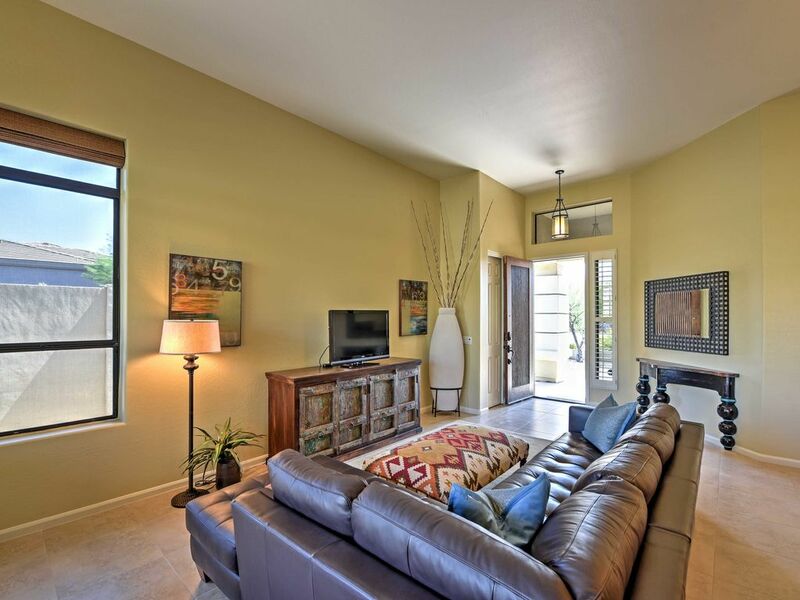 Killer Pool View in Desert Ridge Phoenix101 highway North and Tatum exit. 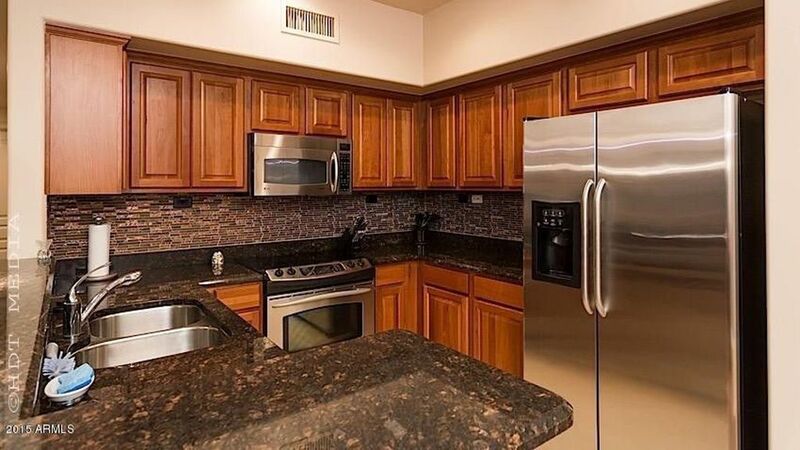 This rental is in an upscale condo community, and its location is reflected in the luxurious furnishings that you can find inside the unit. 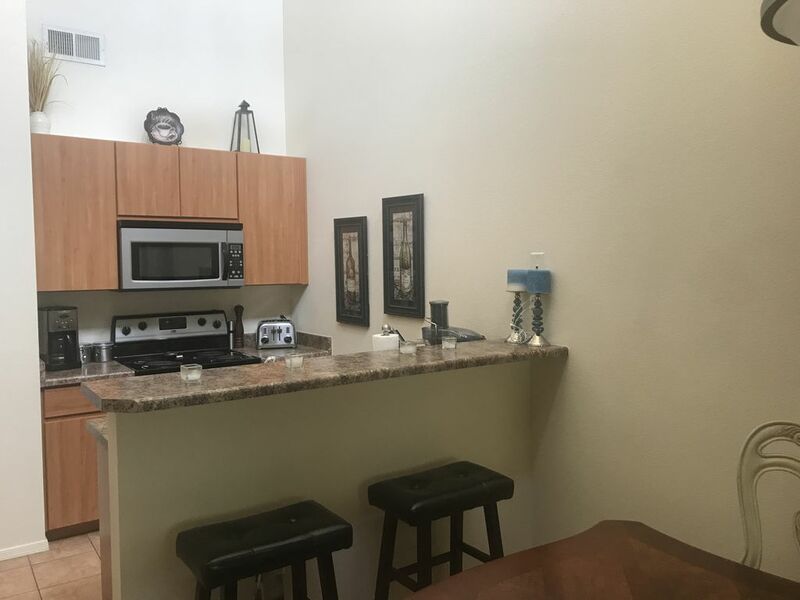 These include a spacious and elegantly decorated living room with flat-screen TVs, a fully furnished kitchen complete with condiments, a barbecue grill on the patio, and two bedrooms furnished with luxurious bedding. 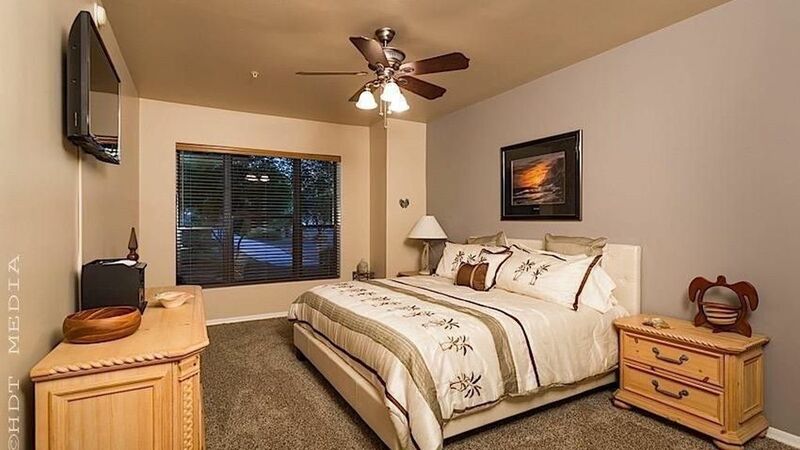 As a bonus, the master bedroom also provides exquisite views of the desert. 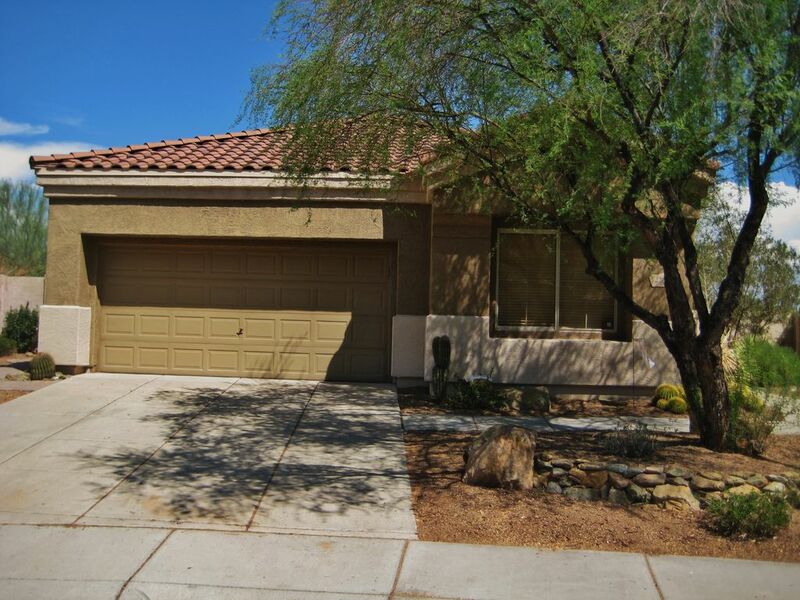 This rental, which fits four, is located right at the heart of Desert Ridge, making it easy for guests to get around town and the surrounding areas. 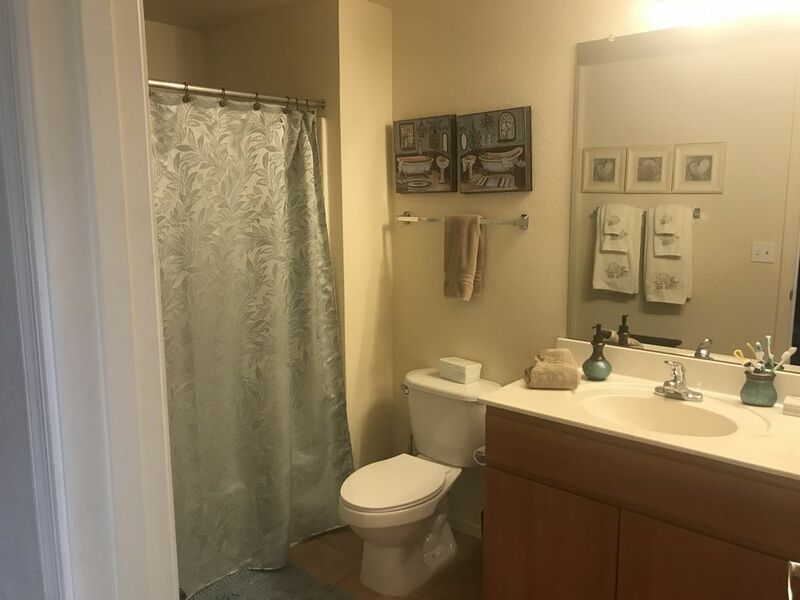 If you love water, you will get a kick out of the swimming pool in this rental, which features a waterfall. 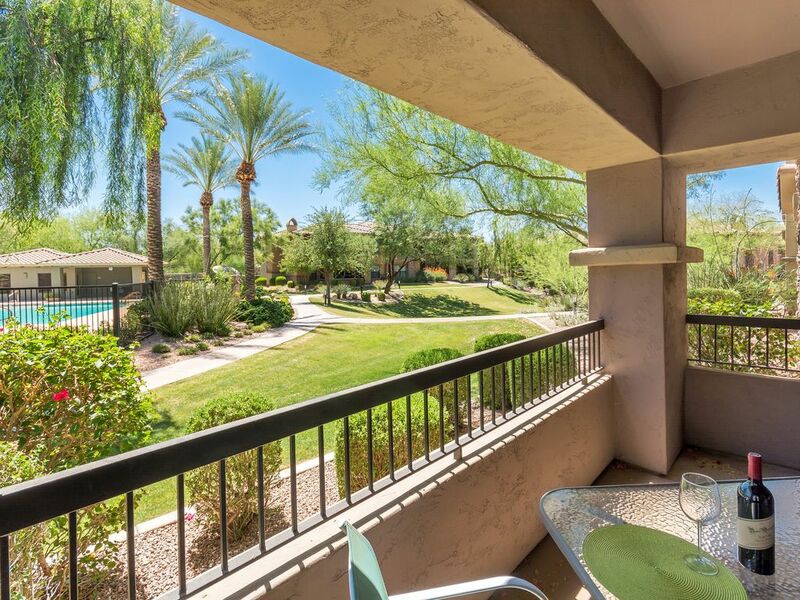 Guests can enjoy views of the desert and the golf course from here. Inside, the master bedroom, which opens directly to the backyard, comes with an ensuite and a walk-in closet. 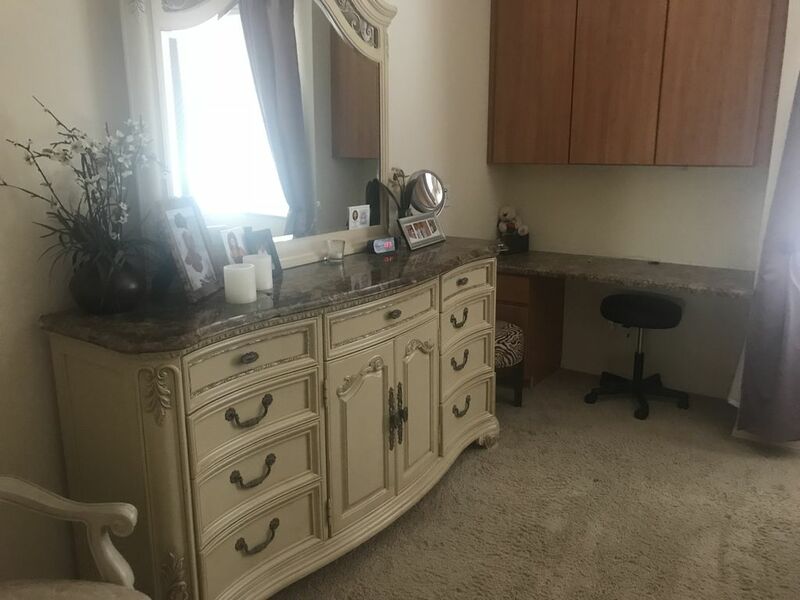 The second bedroom also comes with a closet, so storage space should not be a problem. 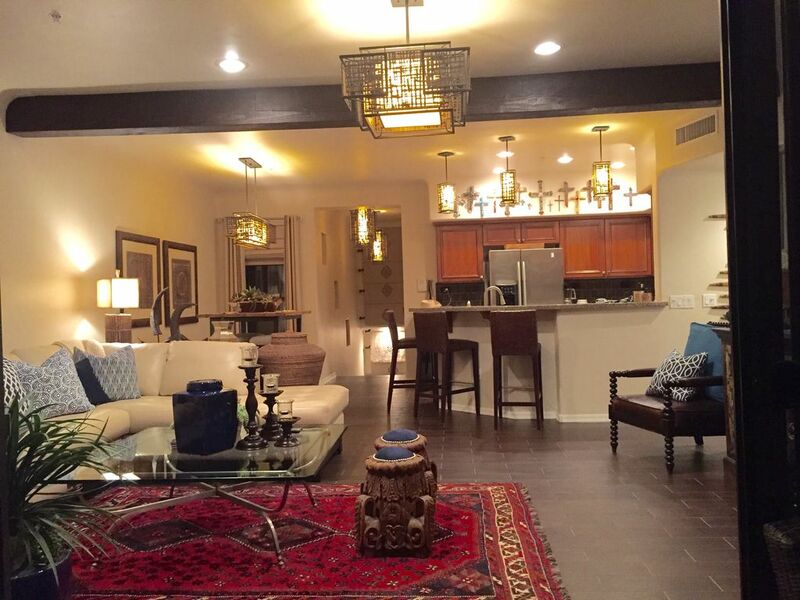 The house is furnished with all the essentials for guests’ comfort and convenience. There is a certain kind of wild beauty in Arizona’s arid lands, but the heat can also take a toll on visitors. 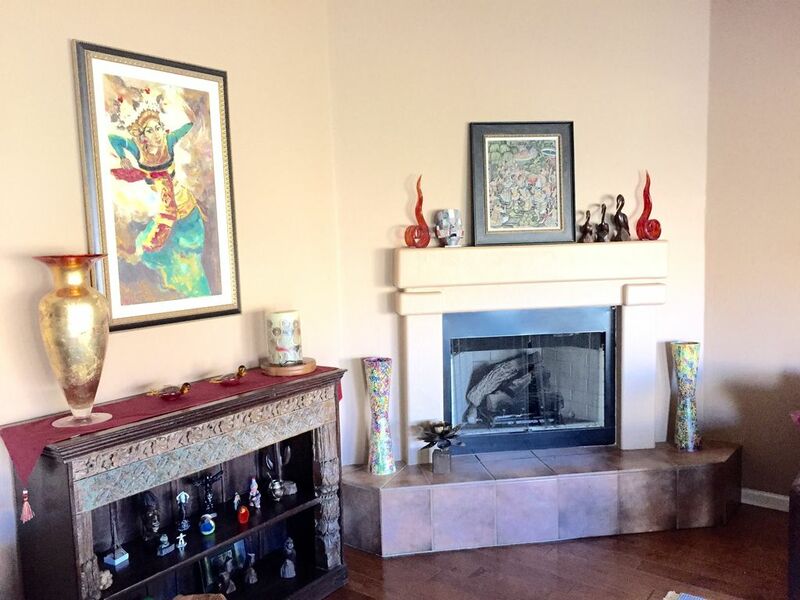 While there are certainly hotels - both luxury and budget - in the area, there is still a special kind of something that you can only find in a homey environment. 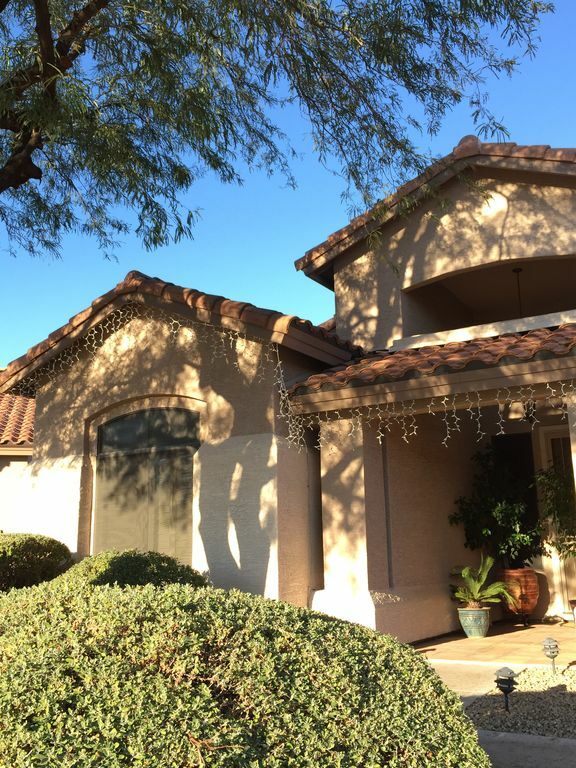 Cool off and rest in your desert holiday by staying in one of these VRBO accommodations.